The stock slipped 5 per cent to Rs 689. It was trading at its lowest level since November 21, 2018. Shares of Jubilant Life Sciences hit a four-month low of Rs 689 apiece on BSE, down 5 per cent in the intra-day trade on Tuesday. 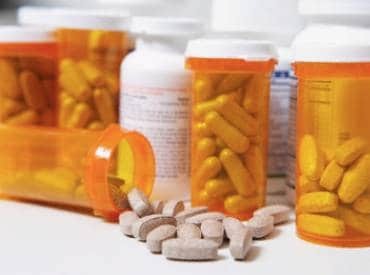 The stock of the pharmaceutical company was trading at its lowest level since November 21, 2018. It has fallen 21 per cent in five days. On March 21, 2019, Jubilant Life Sciences said the United States Food and Drug Administration (USFDA) classified API manufacturing facility, in Nanjangud, Mysore, as Official Action Indicated (OAI). USFDA also stated that the facility might be subject to a cGMP regulatory or enforcement action based on this inspection and that FDA could withhold approval of any pending applications or supplements in which this facility is listed. FDA’s announcement will not have an impact on the company’s revenues from operations of this facility. The company is in the process of sending a further update to USFDA of its corrective actions regarding the agency’s inspectional observations from December 2018, the company said. Earlier, on March 8, Jubilant announced it has received a warning letter (WL) on its formulations plant in Roorkee as its compliance of USFDA’s concerns remains inadequate. The USFDA may withhold approval of any new applications or supplements until the company addresses all issues raised by the agency, the company said. Post the development, analysts at Prabhudas Lilladher cut earnings estimates by 2.2 per cent and 3.9 per cent in FY20E and FY21E, respectively following assumptions of lower sales growth in US formulation. “We expect that negative impact of the event as well as raising new debt capital will result in compression of PE multiples. With muted demand offtake in chemical biz (LSI), higher leverage and regulatory uncertainties, we downgrade our recommendation to ‘Reduce’ and lower target price to Rs 703 (Rs 822 earlier),” the brokerage firm said in a report dated March 11. Meanwhile, on March 20, Jubilant Employees Welfare Trust had sold 3.47 million shares representing 2.2 per cent of the total equity of Jubilant Life Sciences for Rs 272 crore through open market via block deals. The employee trust offloaded shares at a price of Rs 784.17 per share, the exchange data shows.